The CTSI Translational and Clinical Studies Program Traditional Pilot Awards are supported by the Advancing a Healthier Wisconsin Research and Education Program (AHW REP) and the National Institutes of Health (NIH). The total available funding CTSI is offering for the 2019 cycle is $50,000 each for up to 12 meritorious projects. Due to the importance of supporting research to address the opioid epidemic in alignment with the NIH HEAL Initiative the CTSI has set aside funding for up to 3 meritorious opioid-related pilot studies for the 2019 cycle. This does not preclude the funding of additional pilot proposals that are opioid-related and demonstrate merit. These awards are intended to stimulate inter-institutional and interdisciplinary translational and clinical research among the CTSI partner institutions. By supporting collaboration, these awards will promote best practices in team science research. *CTSI is supported by the National Institutes of Health (NIH) National Center for Advancing Translational Sciences (NCATS). As such, CTSI is required to submit documentation based on IRB approval for each applicable pilot project that has been recommended for funding. NCATS requires IRB approval and all related documentation at least 30 days before the project start date. To accommodate this timeline, IRB must be submitted no later than December 1, 2018 or the recommendation for funding may be withdrawn. This program is designed to advocate, facilitate, and foster the continuum of research from bench to bedside, and from bedside to community practice. In a sense, translational research focuses on discovery and the application of scientific findings into a real-world setting. It is the goal of the CTSI to diminish the barriers between institutions and disciplines while encouraging novel approaches to solving complex health related problems. Ultimately, we strive to improve health outcomes by creating new, bidirectional flows of information between our biomedical research enterprise and the community we serve. The fundamental goal of this RFA is to stimulate clinical and translational research among the institutions that comprise the CTSI of Southeast Wisconsin through meaningful collaboration and high quality team science. This award uses a multiple investigator model to encourage inter-institutional and interdisciplinary collaboration between clinical and basic biomedical scientists, social scientists, ethicists, engineers, biostatisticians, informatics specialists, and all members of clinical health care delivery teams. Patient-oriented research. Research conducted with human subjects (or on material of human origin such as tissues, specimens and cognitive phenomena) for which an investigator (or colleague) directly interacts with human subjects. Excluded from this definition are in vitro studies that utilize human tissues that cannot be linked to a living individual. Patient-oriented research includes: (a) mechanisms of human disease, (b) therapeutic interventions, (c) clinical trials, or (d) development of new technologies. 1 Glossary of Terms for Human Subjects Protection and Inclusion Issues, based on the 1997 Report of the NIH Director’s Panel on Clinical Research. 2 National Institutes of Health. RFA-RM-07-007: Institutional Clinical and Translational Science Award (U54) Mar2007. Applications must provide a T-level designation for the proposed research according to the CTSI translational continuum described below, based on NIH guidelines. Proposals for T1-T2 studies will be grouped and reviewed together; likewise proposals for T3-T4 studies will be grouped and reviewed together. PLEASE NOTE: It is important to propose a project which is feasible within the given timeframe and budget of the pilot award. Pilot studies are by definition smaller in nature than those involving Phase II, III, and IV Clinical Trials, and would only provide preliminary evidence for these larger studies. In these cases, and especially for T-3 and T-4 studies, when determining the T-Level of your pilot project, use the descriptions below as a reference for the type of larger study your pilot project would directly support. “Bench” research which may or may not require approvals from human or animal use committees. obtain results to benefit society & improve global health in areas such as improving disease prevention and reducing medical costs. Proposals that incorporate T5 in addition to one of T1 through T4 are eligible to apply. Research in these areas is not a requirement for the award; however, additional review weight will be applied to these studies as being in alignment with a focus of the CTSI. Note that for the purposes of this award and in the language of this RFA, the roles of Principal Investigator (PI) and Co-Principal Investigator (Co-PI) are equivalent. These are distinct and have different requirements from the roles of Investigator or Co-Investigator (Co-I). An individual may submit more than one proposal within a cycle as long as the studies’ aims and objectives are distinct; however, an individual may not hold more than one traditional pilot award per cycle in the role of PI or Co-PI. The role of PI/Co-PI must remain as originally submitted. All projects must have an MCW PI. This condition is a requirement of the funding source of these awards: Advancing a Healthier Wisconsin Research and Education Program (AHW REP). This award allows for, but does not mandate, a multiple PI model. In cases where a project has multiple PIs one must be from MCW. According to MCW corporate policy, the MCW PI will be primarily responsible for ensuring compliance with the scientific, safety, and ethical responsibilities of the grant award. The MCW PI will have the additional expectation of managing the award through the MCW eBridge system and through her/his department. The MCW PI will be responsible for all grant reporting and fiscal management. All PIs must have a minimum of 5% effort and be fully vested in the project in both spirit and practice and contribute actively on the project. It is encouraged that PIs seek institutional/department cost-sharing to support all or a portion of personnel effort, thereby leaving more funds available for other research expenses. Note: cost-sharing commitment documentation is not required at the time of application and is only required for projects which have received recommendation for funding. All PIs must have full-time or full professional effort status. Adjunct and part-time faculty are not eligible to apply as a PI. PIs are responsible for fulfilling reporting requirements as a condition of receipt and continuation of funds. Non-compliance of final and/or annual reporting could result in the rescission of funds by CTSI. All PIs must be CTSI Members. To become a member, please complete the CTSI Membership Form. All personnel must be identified prior to the start date to replace any “to be named” positions proposed in the application. Untenured junior faculty members and early-stage investigators are encouraged to apply. Projects must be inter-institutional: the research team must include investigators from at least two different CTSI partner institutions: BCW, CHW, Froedtert, MCW, MSOE, MU, UWM, Milwaukee VA (Zablocki). Please note, this condition is based on the investigator’s institution of primary employment. Community partners or investigators from other academic institutions would be welcome additions to projects as Co-PIs or Co-Is, but alone do not meet the inter-institutional requirement. Please note, primary employment is used to determine institutional affiliation. Faculty from the MU/MCW joint department of biomedical engineering should use their employment platform to determine institutional affiliation. All investigators must be CTSI Members. To become a member, please complete the CTSI Membership Form. Investigators that are interested in forming new collaborative relationships are encouraged to contact the CTSI Pilot Award Program Manager, Renee McCoy at 414-955-2524 or rmccoy@mcw.edu. PIs must provide proof that all regulatory applications (IRB/IACUC, etc.) are in pre-submission or have been submitted or approved by time of application. If applicable, proof of any exempt status must be provided. Please note that all applicable projects that are recommended for funding must provide proof that the IRB application has been submitted by December 1, 2018. This is a new requirement to accommodate necessary timelines for submitting NCATS Prior Approval documentation (see TERMS & CONDITIONS section below). If your project involves human subject research, all study team members must obtain CITI or equivalent training in human research protections. If your project involves FDA regulated research or NIH-funded clinical trials, all study team members must obtain training in Good Clinical Practice (GCP). This program has an accelerated nature and only a 12 month funding period. If your project requires working with federal agencies such as NIDA, FDA (e.g., IND, IDE applications) or pharmacological agreements (e.g., clinical trial agreements, material transfer agreements), you must contact the CTSI Pilot Award Program Manager, Renee McCoy at 414-955-2524 or rmccoy@mcw.edu prior to applying. Funding under this RFA cannot be used as “bridge funding” for lapsed grants from any extramural source and is intended to be used for new projects. AHW REP funds cannot be used to supplant funds or resources that are available from other sources. However, matching funding and opportunities to leverage AHW funds to obtain other sources of financial support are encouraged. No “indirect costs” may be charged. For more information on allowable expenses, please view the Advancing a Healthier Wisconsin Research and Education Program Award Administration Manual (PDF). Effort must be specified for all personnel, even when cost-sharing. Indicate any cost-sharing within the budget justification and/or within a Letter of Support; cost-sharing commitment forms are no longer required at the time of application and need only be provided from MCW departments upon notification of recommendation for funding. One budget form is required for each institution/agency providing personnel effort on the study that is not considered consultative or fee-for-service. Consultant and/or service fees sourced from another institution or agency such as CHW or Froedtert Hospital can be included on the MCW budget and need not be paid via a subcontract. The Intent to Apply will be reviewed to determine if the proposed project meets eligibility requirements. If approved, applicants will be notified via email that includes a link to a personalized online application form. One budget form is required for each institution/agency providing personnel effort on the study that is not considered consultative or fee-for-service. A Letter of Support is required from each Investigator to the PI(s) explaining her/his intention and commitment to this project. Letters of Support should be addressed to all PIs/Co-PIs. A Letter of Support is not required from a Co-PI to the other PI(s). From Department Chair(s) to the project PI(s) to acknowledge awareness and support of the project. From other institutions – where applicable, please also include a Letter of Intent from any non-MCW institution indicating a willingness to negotiate a project-specific subaward and validation that the institution is on-board with the project and is aware of the effort commitments being made. 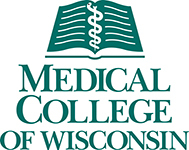 All applications must first be submitted via an eBridge Funding Proposal (FP) by the MCW PI to the MCW Grants & Contracts Office (GCO) for institutional approval by July 25, 2018 @ 11:59 a.m. CDT. Once the FP has been institutionally approved, i.e. moved to the state of Pending Sponsor Decision, the online REDCap application form must be completed and submitted with all required documentation to CTSI by August 1, 2018 @ 5:00 p.m. CDT. Question 2.1 Sponsor Application – upload your completed CTSI Pilot proposal form and any additional required documents. Please create a single PDF file of the full application to upload. For MU investigators, the application must be registered via the routine Proposal Registration process with the Office of Research and Sponsored Programs prior to submission. This process is required for proposals in which MU is the prime applicant and those for which MU is the collaborating applicant receiving funds. 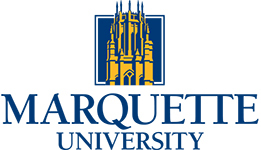 Remember that Marquette requires that a signed institutional letter of intent is in hand from all sub-awardees or collaborating institutions who will be receiving funds (i.e. MCW, UWM, MSOE, etc.) from a grant in which MU is the prime applicant prior to submission. Please contact an ORSP staff member early in your application preparation process as we can assist with forms, budget formulation, proofreading, securing sub-award letters of intent, etc. 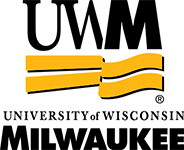 For UWM investigators, full applications must be routed using the WISPER system and approved by the Office of Sponsored Programs prior to submission to MCW. UWM applicants with new collaborators must process the sub-award within the MCW timeline. Letters of intent do not require a WISPER record. the potential for proposed studies, when completed, to generate extramural funding. Each Intent to Apply that has been received by deadline will be reviewed; those that meet eligibility criteria will be approved, at which point the submitting PI will be notified and sent a personalized link to proceed with the full application. The CTSI Pilot Award Committee (PAC) will initially review all applications for technical feasibility and compliance with above requirements. CTSI PAC is comprised of members from partner institutions Marquette University (MU), Medical College of Wisconsin (MCW), Milwaukee School of Engineering (MSOE), and University of Wisconsin-Milwaukee (UWM). All applications will undergo peer-review, an in-person panel review, and a post-panel review. To assist you in developing a strong proposal, specific review criteria will be available within the online application form for your reference. The CTSI participates in a national CTSA External Reviewer Exchange Consortium (CEREC) to improve fairness in the scientific review process and better match applicants with feedback from experts in their respective fields. Applications for this cycle may be reviewed externally through our association with CEREC and we require that you acknowledge within the online application form that your proposal may undergo external review. Maintaining confidentiality throughout the peer review process is essential to allow for the candid exchange of scientific opinions and evaluations; and to protect trade secrets, commercial or financial information, and information that is privileged or confidential. Similar to the NIH peer review process, the CTSI is committed to protect the integrity of and to maintain confidentiality in peer review. See Guide Notice NOT-OD-14-073 and NOT-OD-15-106. Projects will be reviewed based on their selected Translational T-level according to specific review criteria for each T-level grouping: T-1 and T2 will be grouped and reviewed together and T-3 and T-4 will be grouped and reviewed together. In accordance with section 479(b) of the Public Health Service Act (as amended by the Consolidated Appropriations Act, 2012, Public Law 112-74), NCATS is authorized to use fiscal year 2015 funds to provide infrastructure and resources for all phases of clinical trials research, but can only support clinical trials through the end of Phase IIA (with the exception of certain clinical trial activities involving treatment of a rare disease or condition). However, all phases of clinical trials may utilize infrastructure and resources provided through the CTSA. In order to accommodate this time restriction, CTSI requires that all IRB applications be submitted to each respective IRB by December 1, 2018. If the complete IRB application has not been submitted by December 1, 2018 the recommendation for funding may be rescinded. The current version of the CHECKLIST for NCATS PRIOR APPROVAL (PDF) provides a reference for the types of documents that will be required, but please note this version is subject to change. CTSI has developed a REDCap repository into which PIs will upload documents and which includes the most up-to-date version of the checklist along with detailed instructions and templates to facilitate this process. No funds in this award may be used for any research involving human embryonic stem cells (hESCs) until the grantee has submitted to NIH information on the specific, approved hESC line(s) that will be used from the NIH Human Embryonic Stem Cell Registry. While the Registry will include lines pending review; only those hESCs listed on the Registry as eligible for NIH funding may be used in this award. Information should be submitted from an Authorized Organizational Representative to the assigned Grants Management Specialist noted below. It is understood that no clinical research trainee or mentor will be permitted to work on any project involving live vertebrate animals or human subjects that has not been approved by the IACUC and/or IRB, as appropriate. No funds may be drawn down from the payment system and no obligations may be made against Federal funds for research involving human subjects by any site engaged in such research for any period not covered by both an OHRP-approved Assurance and an IRB approval consistent with 45 CFR Part 46. See “Human Subjects Protections” Part II, Chapter 4 in the NIH Grants Policy Statement (PDF) for specific requirements and grantee responsibilities related to the protection of human subjects. AHW REP and NIH Funding Acknowledgment: Important Reminder – Please acknowledge the AHW REP and NIH when publishing or presenting any outcomes resulting from your study by including the CTSI Funding Acknowledgement. Please also refer to page 21 of AHW REP Award Administration Manual (PDF) for the AHW Acknowledgement Policy. The documents below are designed for reviewers but are extremely helpful for applicants to understand the characteristics comprising a high-quality, competitive proposal.